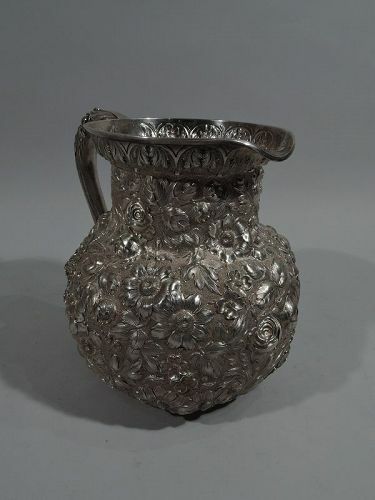 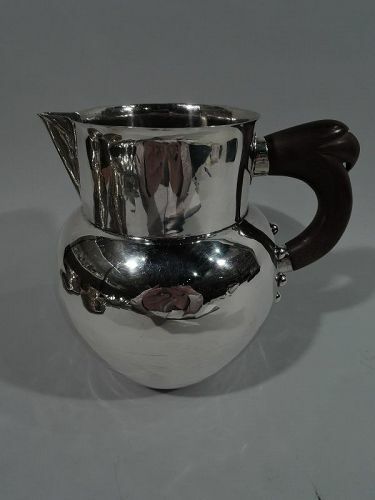 Shop Nelson & Nelson Antiques and discover a timeless assortment of antique silver water pitchers. 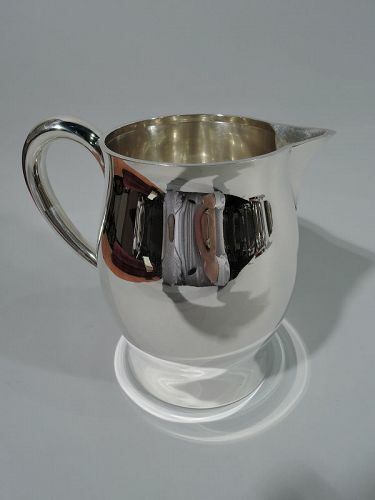 These sterling water pitchers are available in an array of styles including Japonesque, softened Modernism, Edwardian, Early Georgian, Midcentury Modern, Jensen-style, and more. 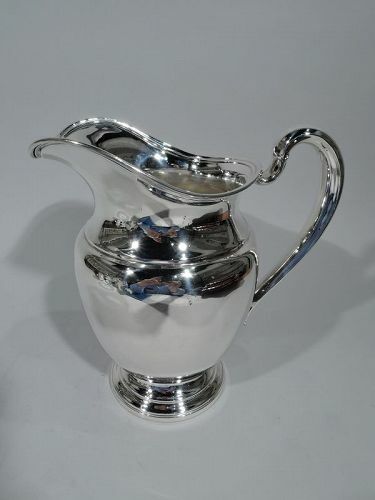 Whether youre looking for a piece to add to your silver collection or to use at your next dinner party, youre sure to find a pitcher that matches your aesthetic. 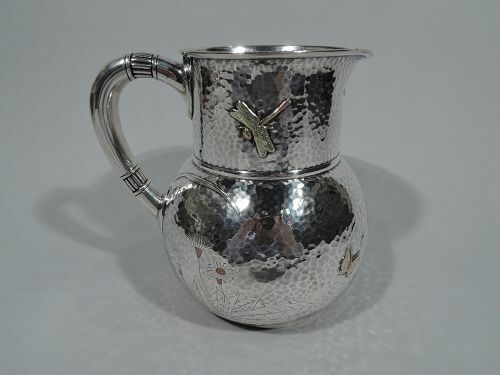 Some of these antique silver water pitchers portray intricate, engraved designs including graceful aquatic scenes, breezy nautical scenes, and more. 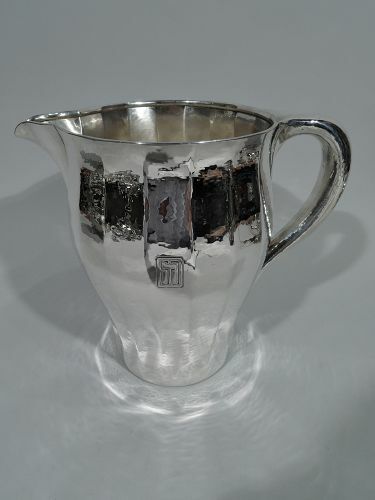 A variety of sterling water pitchers also feature applied floral, insect, or shell motifs while others reflect a sleeker, more traditional design. 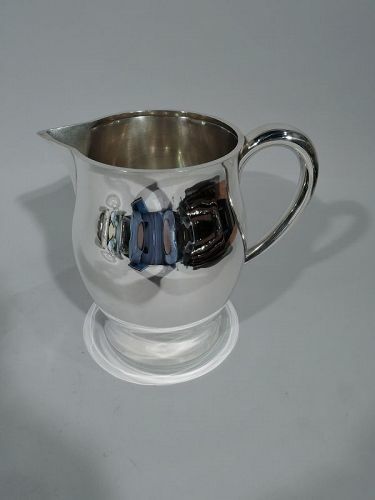 To suit your needs, our pitchers are available in a variety of sizes from substantial to standard to compact. 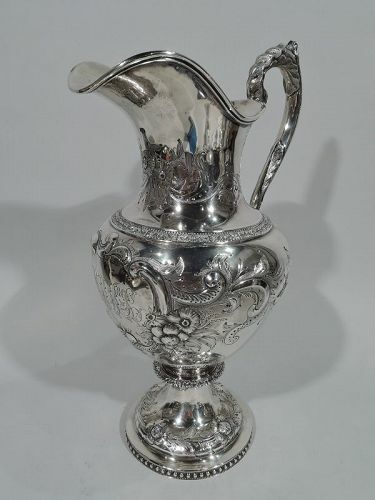 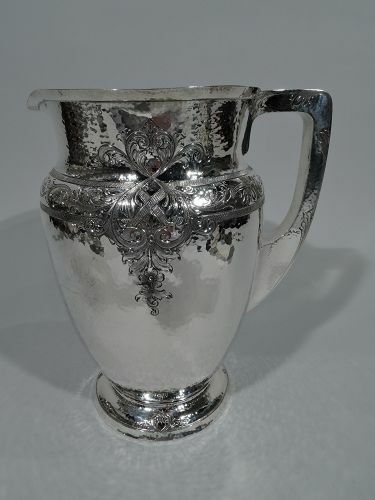 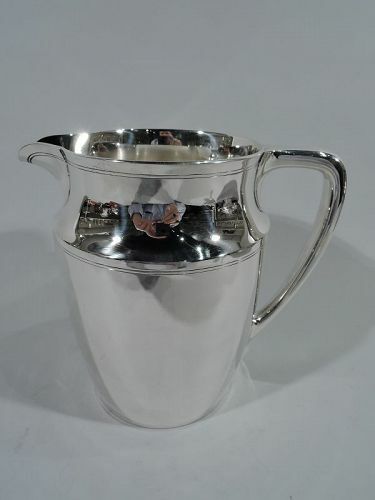 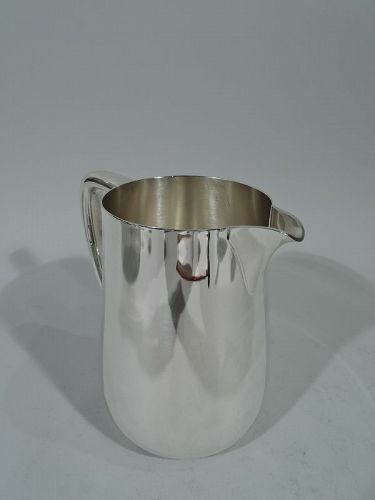 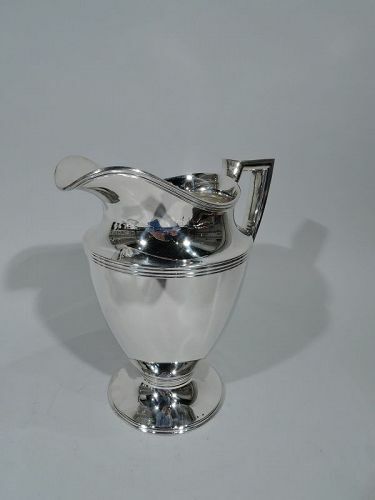 Within our extensive collection, youre sure to find the perfect sterling silver water pitcher for your next occasion.